What are the builders doing in October? 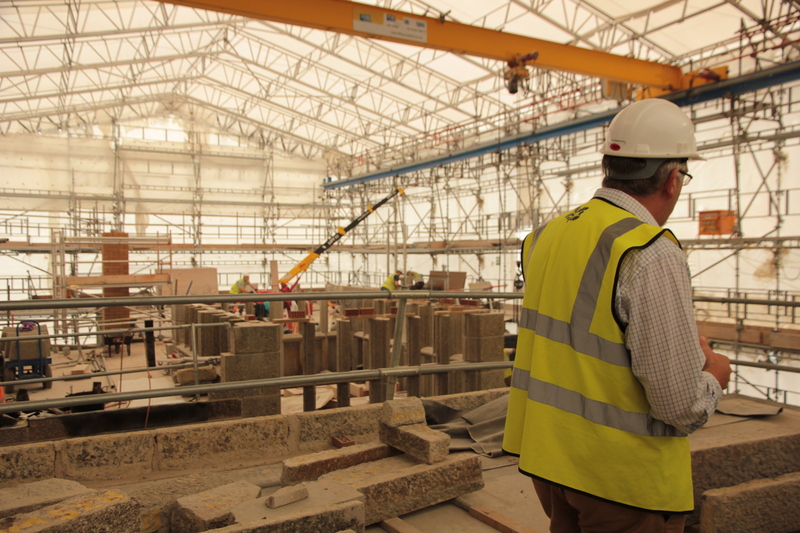 Recent tours up onto the roof have highlighted how much has changed on site and produced some very interesting photos. 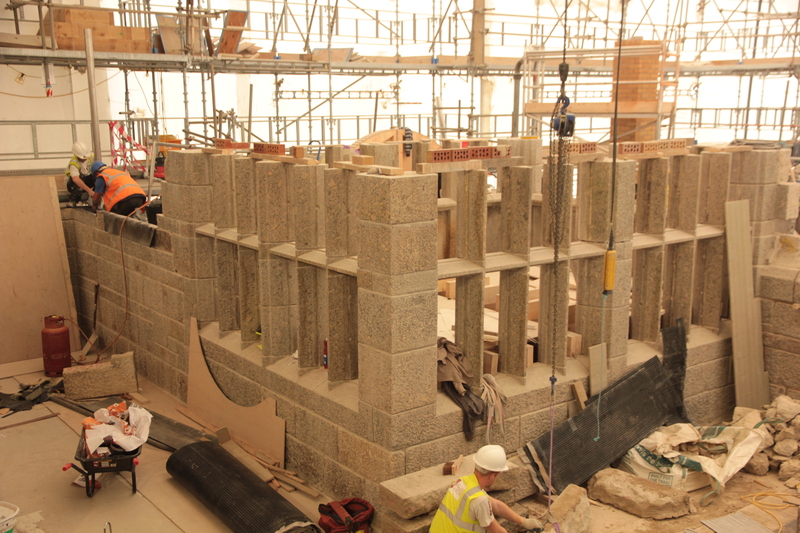 Reconstruction of the south wing continues to progress with the parapet walls now starting to be rebuilt. 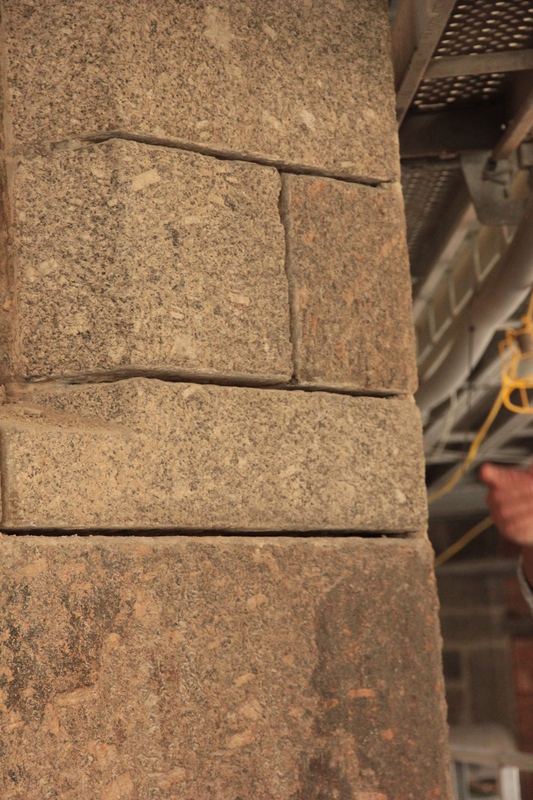 The repointing of the south wing is all well advanced. (see picture below). 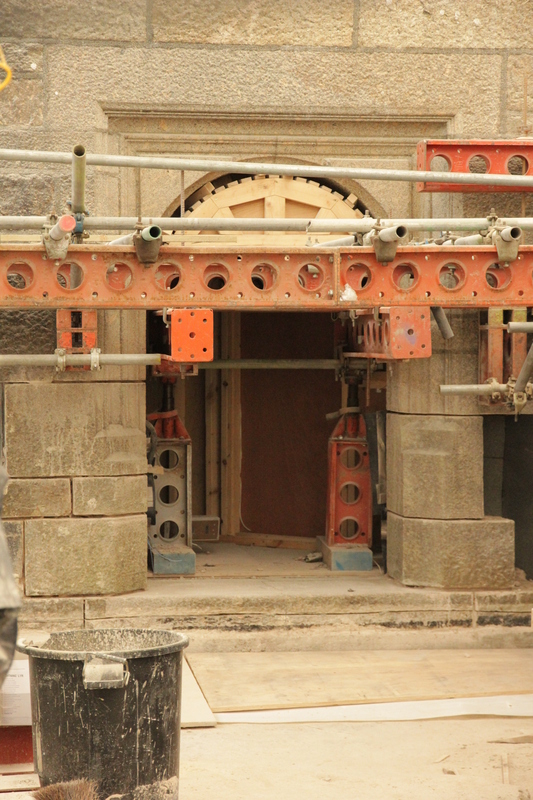 At ground level the west forecourt door has been reconstructed (see picture below). The Bauder membrane is continuing to be laid. (see picture below). 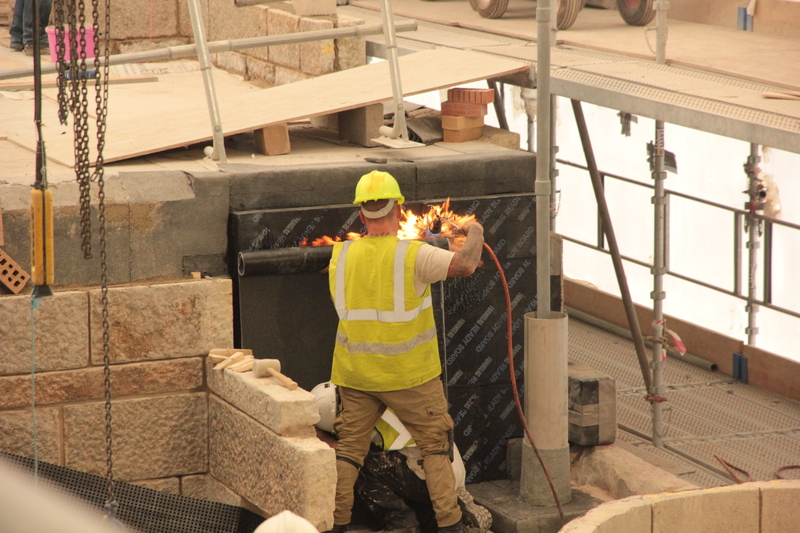 A crane was here on the 1 October to lift the granite lintels back onto the lantern light on the south wing of the building. The contractor is still on schdule to complete the south wing at the end of the year. Next March our interpretation within the castle will completely change so make sure that you visit us soon.